You are just a click away from hiring the best party bands in the nation. Our selection of party entertainers travel all over the country and are masters at making your guests dance, laugh, engage, and have a good time. Whether it's a wedding reception, corporate event, or dancing event, our high-energy party bands will play the appropriate musical genre. Our Top 40 Cover Bands perform your favorite dance tunes spanning the decades. At DanceBands.com our goal is to make you look good for hiring us. Perhaps the best part of using one of Dance Bands' groups is you don't need to worry about entertainment. We have done hundreds upon hundreds of events and are consistently perfecting our shows. Sit back and relax with your guests and rest assured that you are hiring the best people in the business. Remember also that we are a one stop shop for event production, equipment and A/V rentals so you don't have to coordinate between the party band and production team. We can literally produce your entire event. If you are looking for fun, classy, rockin' event entertainment, the Groove Merchants is the band for you. As the premier party band in the nation, the Groove Merchants stage an unforgettable evening for your guests. Their high-energy show features world-class vocals plus exciting choreography, dancing, light show, and audience interactions.This group can book out as a seven piece or all the way up to a 14 piece band, allowing you to customize the size and impact of the entertainment to fit the shape of your event. Event planners all over the country rave about the Groove Merchants. They know that by the end of the night, your guests will be best friends with this great party band. 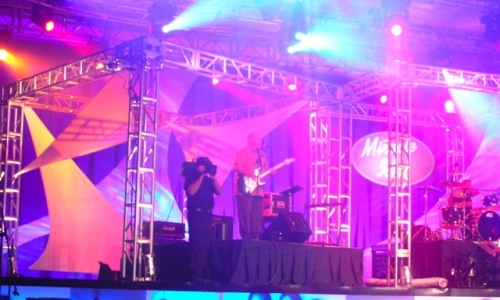 This group comes action packed with a full band, vocalists, dancers, an on-stage DJ, lighting, and sound crew. Are you looking for a sophisticated, dynamic, full throttle, genre-spanning variety band? Then check out The Salamanders! This exciting party band mixes some of the nation's most experienced studio and event musicians with the West's hottest vocalists up front. Whether The Salamanders are headlining a corporate convention or backing up celebrity acts (including Kenny Loggins, Belinda Carlisle, Collin Raye, and Eddie Money) these world-class performers put on an amazing show that will leave your guests wanting more. Playing music from all popular dance genres, The Salamanders' engaging song list includes Top 40s, Classic Rock, Motown, R&B, Hip-Hop, Country, Jazz, and anything else your guests you can groove to. Their infectious vibe will infuse intensity into your event and guarantee a night to remember for your guests. The Dance Doctors showcase young, hip vocalists and musicians, they're perfect for creating a chic, modern ambiance at your event. But don't be fooled by their millennial vibe, the Dance Doctors feature seasoned, talented, and professional performers who have delighted audiences large and small. Playing current dance tunes in addition to classic hits, the Dance Doctors know how to bring the funk to Top 40s, modern hits, and classic R&B. Whether they're fronting a community concert or serenading a bride and groom, this seven piece cover band will keep the hits coming and your guests grooving. If you're looking to spice up your yearly event with unique, compelling entertainment, how about a band that flies through the air? That's right. Amplify is not just a top party band, they're also an aerial act. Unlike anything you've ever seen, Amplify combines talented musicians and impeccable vocalists with professional aerialists. Amplify replaces back-up dancers with air-up acrobatics and the band itself goes airborne at times. If that's not enough spectacle, then you'll love Amplify's sparkling LED infused costumes. The lights beat in time to the music to create a futuristic, cool effect. You'll love how Amplify will carry your crowd away in a night filled with exciting music and infectious fun. Voodoo Box brings you the sweet sounds of the past, with a few modern tunes mixed in. A fun party, yet classy band, that plays everything from Disco, Funk, R&B to the songs you grew up dancing to. Having played together since 2001, Voodoo Box has a strong name in the event industry. High Society is versatile, diverse, and high-energy. Perfect for upscale events or dance parties. This band is talented, flexible, and surprisingly affordable. The vocalists & musicians boast an eclectic range of genres. They are lots of fun at dance music, but also have a super classy selection of background and lounge music. Check out this awesome party band. The Moonlight Swing Orchestra plays all your favorite big band tunes from the 40's and 50's. You will recognize all the exact arraignments of big band classics from the Glenn Miller Band, Tommy Dorsey, Duke Ellington, Count Basie and more. This band pulls from the very best jazz musicians available for a classy, fun evening of dancing or background music. Moonlight usually goes out as a 6 piece but for clients who really want to go all out, the band expands into a full 17 piece big band. The Bandits have an easier setup than some of the larger productions and party bands. As a 5 - 6 piece band, they are smaller in size as well, which is ideal for smaller venues when space is limited. With a large song list, the band will play your favorite hits all night, one right after another. TIYB is for corporations and party planners that want an unforgettable, engaging, and involved experienc for their guests. This is the go to band in North America for live karaoke and vocal competitions or if you just want to have a rockin' fun time with your guests singing. With over a 1000 songs right in their heads, nobody will feel left out. Click This Is Your Band to check out the band. 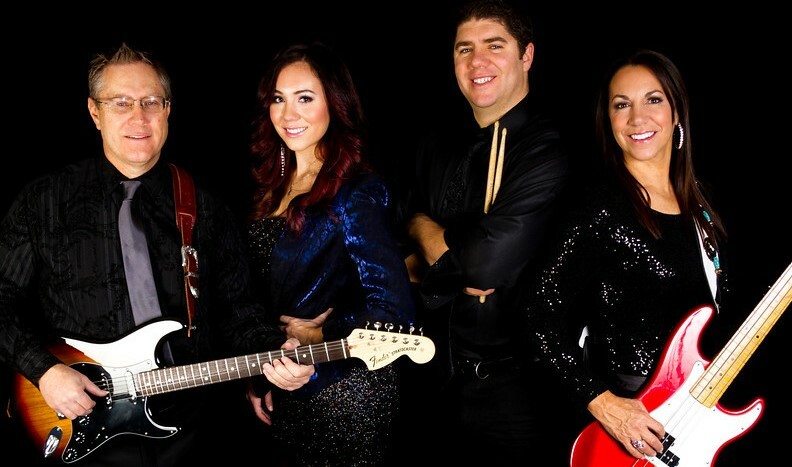 Jersey Street is a versatile band that plays music from a variety of genres. They are offered for hire in a variety of setups and costs making them the perfect band for an event needing all kinds of music and budgets. If you need a solid, 4-piece band that has a very large song list, this is the perfect band for you.